This gearbox features two independent motors to enable greater movement variety in your creations. 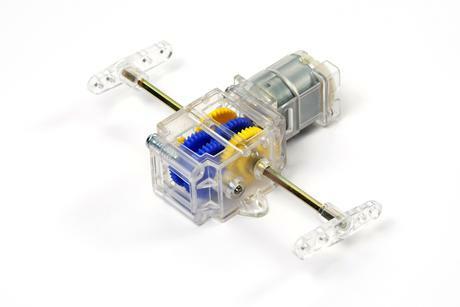 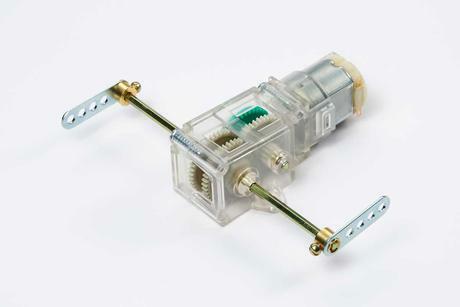 Made from reinforced plastic, the gearbox features screws and snap together parts for easy assembly. 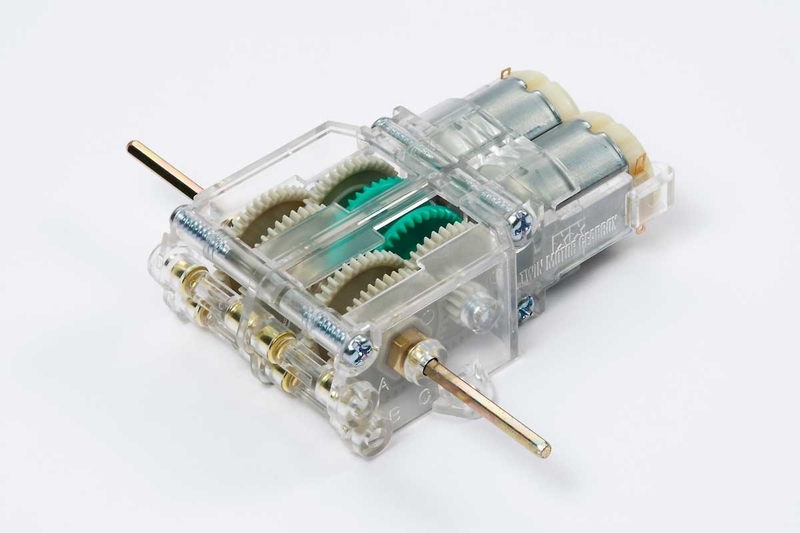 Two gear ratios can be chosen. 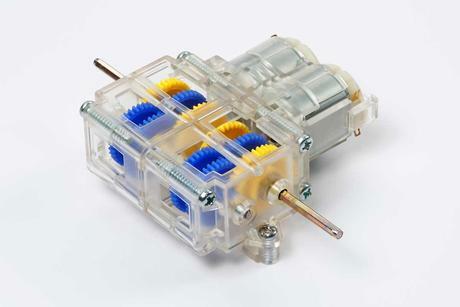 •	16.6:1, 58.2:1 and 203.7:1 gear ratios.